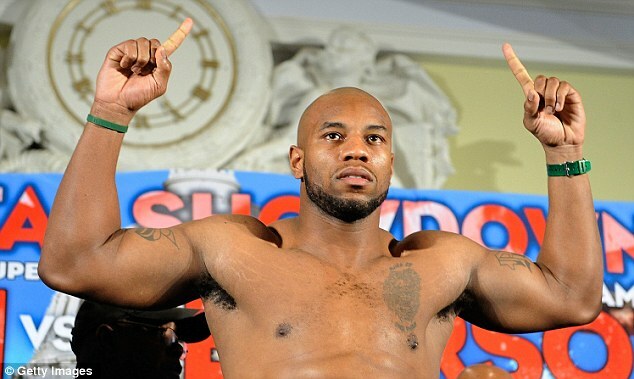 Earlier this week heavyweight prospect Seth Mitchell announced on his Twitter account that he will be fighting Chazz Witherspoon as the co main event to the Bernard Hopkins Vs Chad Dawson fight. The bouts will take place on the 28th of April. This is Mitchell’s second fight as the co main event to a much anticipated HBO fight. His debut on HBO saw him dismantle the experienced Timur Ibragimov in what was a brutal second round for Timur. Mitchell got a lot of people talking about him that night, and now that he is facing a well-known American heavyweight, all eyes are on him, and he needs to impress once again. I wasn’t dancing with joy when I heard this fight was made, but I’m excited to see Seth back in action. In terms of getting his name more household in America it’s a good choice of opponent for him. Witherspoon will be a recognisable name amongst the boxing fans in America for his fights with Chris Arreola and Tony Thompson. It’s also a good fight for Seth in terms of his chances of winning. Witherspoon is a decent boxer but he has lost against his two best opponents. All the other wins on his record aren’t against top 10/15 ranked opponents. So you get the feeling that Witherspoon loses every time he steps up his level of competition. In an ideal world Mitchell would have fought Tomasz Adamek or Chris Arreola. There have been talks of Mitchell fighting one of the two in 2012, and maybe it will happen later in the year, but I think it will be good to put Mitchell in the ring with Adamek now and then Arreola later in the year for a big American heavyweight showdown. Another good opponent in my opinion would have been Ruslan Chagaev. Chagaev got himself back to winning ways the other month, and if he fought Mitchell it would be a ‘last chance saloon’ type of fight for him. And a ‘good name on the resume’ type fight for Mitchell. Be that as it may, even if Seth Mitchell Vs Chazz Witherspoon isn’t the most mouth-watering fight that could have been made for Seth, he potentially has some really good fights to be made in the future. As I mentioned earlier in the article, Mitchell is definitely the favourite for this fight. I haven’t seen that much of Witherspoon but I imagine he has been brought in as an opponent because he doesn't have an outstanding chance of winning and he will make Mitchell look good and work hard whilst getting a victory. Looking at Witherspoon’s record he has 22 knockouts from 30 victories, so judging off his knockout ratio, the power seems to be there. However, look further into his record, and as I mentioned earlier he hasn’t beaten world class opposition. Witherspoon’s high knockout ratio may be a bit of an illusion to how much punching power he really has. Witherspoon is a decent opponent for Mitchell and should give him a tough fight. If Mitchell successfully beats Witherspoon and looks good in doing so, then I would like to see him fight some of the names I mentioned earlier in the article. Let me know what you think of Mitchell’s development, and is Chazz Witherspoon a good fight for him? Thanks for reading.